The carrot is a plant with thick, fleshy roots with intense color, which grows underground, with thin green leaves appearing above ground. Although usually associated with the color orange, in fact, carrots grow in a variety of colors, including white, yellow, red or purple. 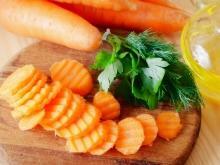 Carrots belong to the Umbelliferae family, to which parsnips, fennel and cumin also belong. Known are over 100 different varieties of carrots that vary in size and color. The roots of carrots are with a crisp texture and sweet mint flavor, while its leaves are green with a fresh flavor and are slightly bitter. The noble lineage of carrots can be traced back thousands of years, initially cultivation begun in Central Asia and the Middle East. Carrots at the time seemed quite different from the familiar types today, namely they were a deep purple color, ranging from lavender to deep aubergine. This color is due to pigments of anthocyanins nutrients that are contained in these carrots. Yellow colored carrot varieties appeared first in Afghanistan and through further processing, the varieties that we know today have developed. 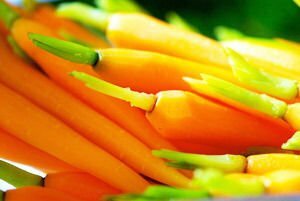 Both carrots were distributed throughout the Mediterranean region and were used by ancient Greeks and Romans for medicinal purposes. Carrots have been a popular vegetable in Europe until the Renaissance. Subsequently, they are distributed in the North American colonies. Due to its increased popularity in early 1800, carrots became among the first are vegetables that are canned. Today, the U.S., France, England, Poland, China and Japan are among the largest producers of carrots. In carrots contain large amounts leticin and pectin. Carrots are an excellent source of provitamin A. 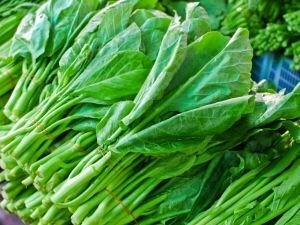 They are a very good source of vitamin C, vitamin K and dietary fiber. 1 cup or 122 g carrots contain 52, 46 calories, 1.26 g protein and 0.23 grams of fat. 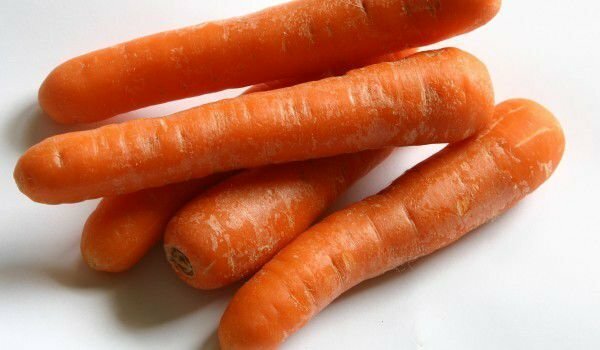 Carrots are also rich in vitamins B1, B2, PP. They contain many enzymes, terpenes, essential oils and minerals - sodium, magnesium, phosphorus, potassium, iodine, iron. In carrots, there is copper and manganese. When choosing carrots, it should be borne in mind that their roots should be firm, smooth, relatively clean and in bright colors. The more intense orange a carrot is, the greater is its content of beta carotene. It is necessary to avoid carrots that are excessively cracked or soft. If carrots are available without their green tops, the color at the end of the shaft is indicative of their age, so avoid those with ambiguous color. Since sugars are concentrated in the core of carrots, generally those with larger diameter will have sweeter cores. To maintain the freshness of the carrots, it is necessary to reduce the amount of moisture they lose. 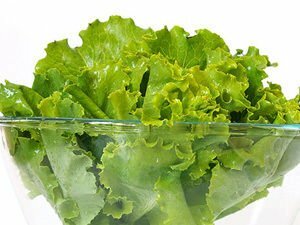 Therefore, they need to be stored in the coldest part of the refrigerator in a plastic bag, or wrapped in a paper towel, which will reduce condensation. Thus, carrots will stay fresh for about two weeks. They should also be stored away from apples, pears, potatoes and other fruits and vegetables that produce ethylene gas, as it will make them taste bitter. 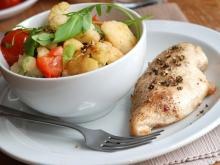 Carrots are a very useful and tasty vegetable that is widely used in cooking. They can be consumed raw, but must be washed and peeled. Carrots are used in many salads - the most famous of which is cabbage and carrots. 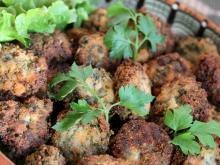 Carrots are placed on many vegetable and meat dishes, and the taste is irresistible. Carrots are used in a range of freshly squeezed juices - both vegetable and fruit. In traditional preparation of winter pickles, carrots occupy a place of honor. 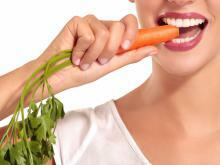 Beta carotene contained in carrots helps to protect vision, especially night vision. 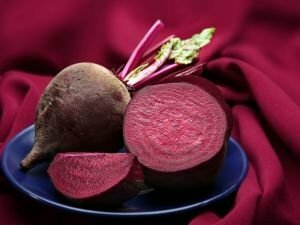 After beta-carotene is converted to vitamin A in the liver, it travels to the retina where it turns it into rhodopsin - purple pigment that is necessary for night vision. 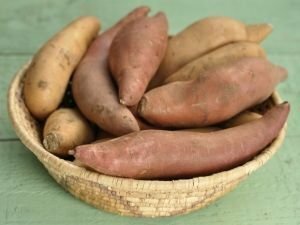 Carotenoids are also useful in terms of optimal health - the adoption of high-dose carotenoids is associated with a 20% reduction in the risk of breast cancer in postmenopausal women and 50% reduction in the risk of cancer of the bladder, cervix, the prostate, colon, larynx and esophagus. 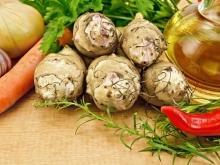 Studies have shown that physiological levels and the dietary carotenoids may be associated with reversing insulin resistance and high blood sugar levels. Studies show that both smokers and passive smokers need to consume foods rich in vitamin A, such as carrots to preserve their health, as carcinogens in cigarette smoke, called benzo (a) pyrene, induce vitamin A deficiency. Vitamin B helps to better memory and the ability to concentrate. It helps the body to fight daily stress. 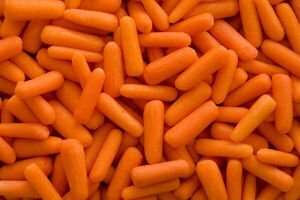 Vitamin E is another important ingredient in carrots, which fights anemia. 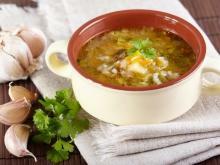 Regular consumption of grated carrots, seasoned with butter and cream, increases the body's defenses against infection. 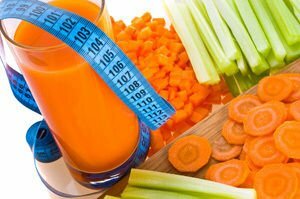 The information contained in carrot pulp helps care trim figure, helps weight loss and relieves the body of harmful toxins. 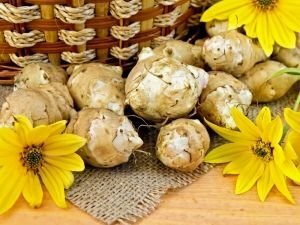 This vegetable is very useful for diabetics who are deficient in vitamin A. Absolutely all parts of carrots are good, even the green leaves and roots. The carrot is different from other vegetables with its increased content of potassium salts, which are vital for the heart, kidneys and blood vessels. Excessive consumption of foods rich in carotene, like carrots, can cause a condition called carrotoderma where the hands or other parts of the skin turn yellow or orange. 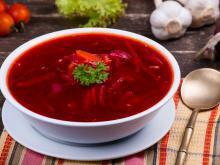 Excessive consumption of this type of food may also reduce the body's ability to convert food into vitamin A.